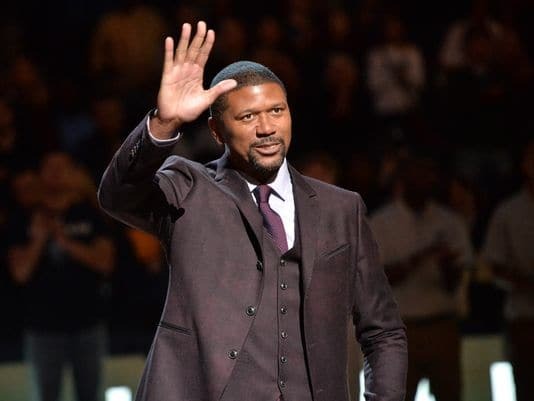 February 6, 2017 — Jalen Rose has scored a fab opportunity in network comedy. And, yes, the title certainly sounds like a nod to Rose’s hometown, which appears in the slogan of the “Detroit Vs Everybody” clothing brand. Variety reports that Rose, a former NBA player and current ESPN star, will portray a single dad balancing career and parenting demands. The pilot was written by Nahnatchka Kham of the ABC sitcom “Fresh off the Boat,” which previously featured a guest appearance by Rose. 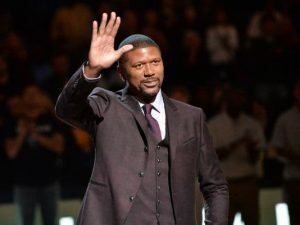 Rose hosts the ESPN pre-game show “NBA Countdown.” He joined the cable sports network in 2007 and also is an NBA analyst for ESPN programs like “SportsCenter” and co-hosts ESPN Radio’s “Jalen & Jacoby” show. Rose will be an executive producer of “Jalen vs. Everybody,” which will vie for a spot on the networks 2017-2018 lineup.